Gülüs in Turkish means smile. gülüs is a mobile application that allows the people of Istanbul to share smiles with one another. In a design class at the MIT MediaLab, a partner and I designed a mobile application for Avea, Turkey’s third largest telecom company, and AveaLabs, their research and innovation lab. The class was hosted by the Mobile Experience Lab and we were challenged with designing a mobile application to promote health and wellbeing in the city of Istanbul. gülüs in Turkish means smile. 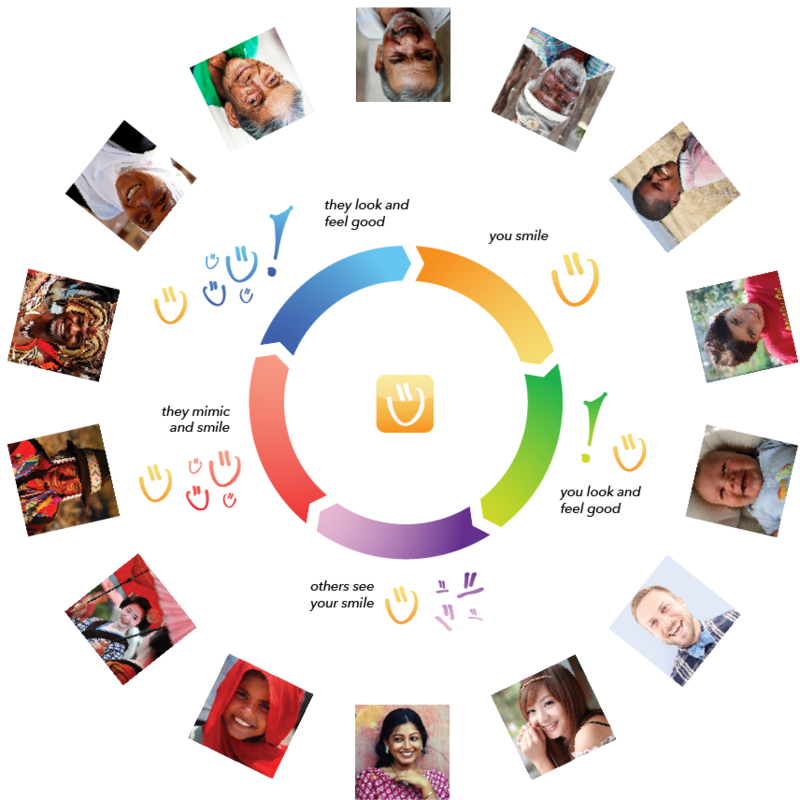 gülüs is a social networking application based entirely on sharing smiles. Smiling is a universal human behavior that arises from feelings of pleasure and happiness. And research shows that when we see another smiling face, we are likely to mimic the expression on that face, thus smiling ourselves. gülüs helps to promote a smiling and positive community within the city of Istanbul by allowing users to capture and record smiles, share compliments and smiles with others users, leave their smiling faces for others to find, and interact and compete with others in their smiling community. gülüs has several primary functionalities: Capturing images, Creating posts (compliments), Networking with friends, Sharing compliments and photos with friends, Geo-tagging images for other users to find, and rating photos and compliments by smiling into the camera. The theory behind gülüs stems from Eckman’s theory that there are six human emotions that are nearly universally understood through facial communication: Happiness, Sadness, Fear, Anger, Disgust, and Surprise. The technology used to interpret facial expressions would be like FaceReader. FaceReader automatically analyzes facial expressions and provides an objective assessment. The FaceReader technology would read the image (smiling faces) picked up by the camera on a mobile device, and analyze the level of happiness. The level of happiness would be translated into a score that would affect the rating of shared pictures and posts. When a users first opens the gülüs application, she is sent a random compliment, which prompts her to smile. Once the FaceReader detects a certain level of happiness, the app snaps a picture which is then used to begin the user in creating a profile. Users can then navigate through the main headings of the application: Get gülüs, Share gülüs, and gülüs-muni, the smiling community. 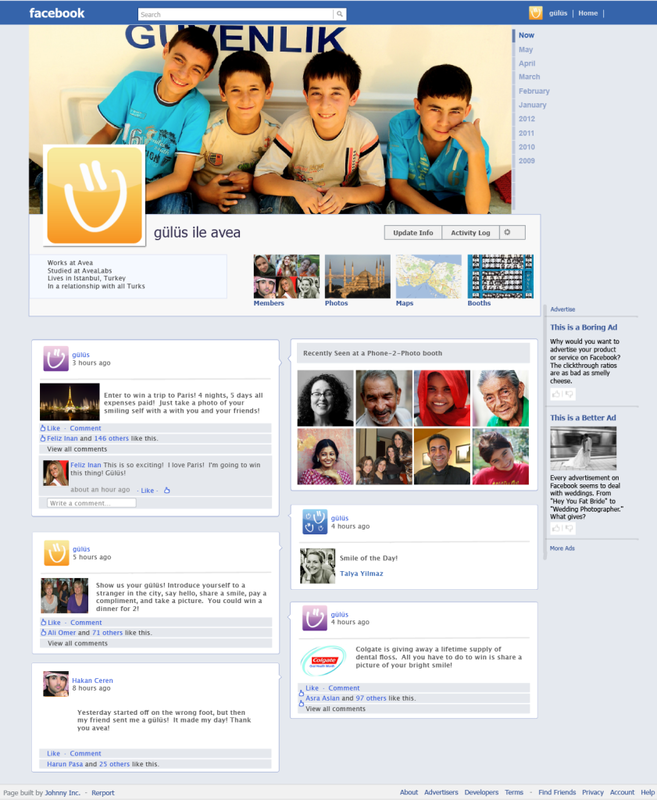 Users can Get gülüs by creating compliments, jokes, or kind messages and sending them to other users in their network. Users can Share gülüs by sending pictures of themselves smiling to other users in the network. When a person is sent a smiling photo through gülüs, FaceReader is working in the background to measuring how happy the picture or post makes them based on the quality of their smile. The happier the smiler is, the high the sender’s rating will grow. Users can also share compliments and smiling photos with other members of the gülüs community by geotagging content and creating hidden smiles for other gülüs users to find. When another user identifies the location of the geotagged photo, the picture will appear on the screen. This random sharing of smiles will allow strangers living in one city to spread happiness by sharing smiles with one another. Consumer behavior research indicates that attitudes can be categorized on a mood versus arousal scale. Marketers and advertisers can then communicate messages that elicit certain attitudes in order to get certain consumers to engage with their products. When, for instance, a consumer is in a high arousal, positive mood he is more likely to want to develop relationships with the brands he is engaging with. 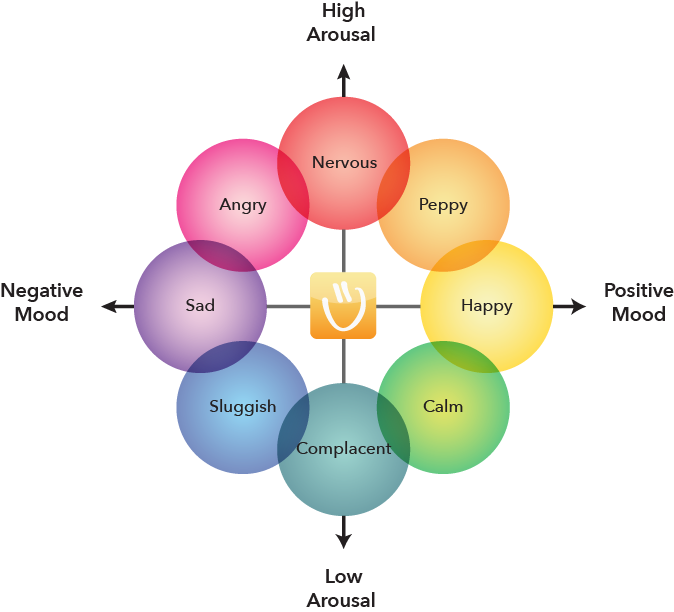 When users share smiles with each other through gülüs they are triggering this high arousal, positive emotion state. By using gülüs to promote smiling, Avea is working to build positive brand associations in the minds of its users, which could drive sales of Avea’s products and services.